I took loads of books out of the library to cover me over Christmas, and I still haven’t read them all. I’m very short of time this week, more so than usual, because my blog writing time has been taken up by a long letter to the Chairman of John Lewis – part complaint, part praise but that’s maybe for another time. I thought I’d just do a quick list and even quicker reviews of my some of my recent reading. I originally set out to write about nine books, but am stopping at five as once again, I’m running out of time. I’d been really looking forward to reading these first three books – I was thrilled to discover that there were some books by my favourite authors that I had yet to read. Tigerlily’s Orchids – Ruth Rendell. One of my favourite authors, though I prefer her when she writes as Barbara Vine. This book is more Vine than Rendell, similar in that respect to The Keys to the Street, but that’s where the comparison ends. Some interesting characters but some I soon tired of. Overall it was disappointing, especially as the main premise was so obvious and easy to spot. 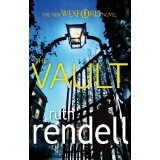 The Vault – Ruth Rendell. Much hyped and reviewed. Linked to her earlier novel A Sight for Sore Eyes. I knew I should have re-read that book first but, although I have nearly all the Rendell and Vine books, I couldn’t find it and was too impatient to wait. I don’t generally like the Wexford books; this was no exception. Since I couldn’t remember much about the first book, I spent the whole time wondering when I was going to be reminded of the earlier crime. That didn’t happen until the very end. I don’t know if that made it better or worse for someone who hadn’t read the first book. Blue Monday – Nicci French. This was also much hyped but with justification. I love the fact that, like most of the French books, this one is set in London. At first the plot seemed fairly pedestrian – small boy goes missing and at the same time a psychiatrist is faced with a patient whose dreams seem to indicate some guilty knowledge. But the plot deepens. The characters are very well drawn. It’s difficult to end a book well, especially a mystery/detective/thriller. This one has the most wonderful twist in the tail, which makes for a great ending. 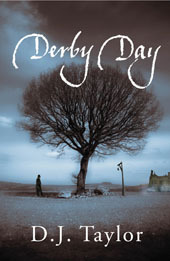 The next two authors were unknown to me although I don’t know how I missed Derby Day as it was on the Booker shortlist. Derby Day – D.J. Taylor. Subtitled ‘A Victorian Mystery’ this lives up to the description in spades. The book feels authentic from page one. I could really put myself in the scene. D.J. Taylor brings the era alive, I really related to the characters and felt as if I would understand them as easily as I would someone living today. I haven’t even finished this book – I’m about three quarters of the way through and am just as engaged as I was at the beginning. From looking at the chapter headings I know there are still some surprises to come – and we haven’t even reached Derby Day yet. Any Human Face – Charles Lambert. The late and much missed Beryl Bainbridge said ‘Charles Lambert is a seriously good writer.’ I totally agree. The book moves from the mid-80s to 2008 and back again, with a side step into the early 60s. Beautifully put together, each section revealing a little bit of the story, until they combine to show the links between apparently unrelated crimes. This is always a brave thing to do as the author must rely on the reader staying with it even though this may demand some patience. The setting is Rome, but a part of Rome the tourists don’t see, the seamy fringe of Rome’s gay scene. The characters are engaging especially the colourful and poignant Birdman.